Your Boys will love these wholesale socks with stars & stripes on them. 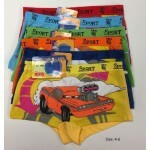 Your little ones will lo..
Little kiddies will love these wholesale socks with cars printed on them. 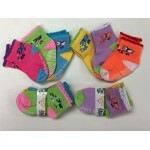 They will look super cute ..
Little girls will love these wholesale socks with butterflies on them! They will look super cute tod..
Wholesale socks for teenagers and adults. That great fitment you look for on your daily wholesale so..
10-13 Senator Socks $8.00 Each Dz. Wholesale Socks for ages, from teenagers to adults you will love these socks. Our wholesale socks ar..
10-13 Socks $6.50 Each Dz. Wholesale Socks with a sports two tone look. 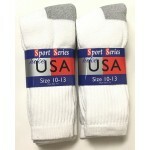 These wholesale socks are preferred by teenagers for th..
10-13 USA Socks $7.00 Each Dz. Wholesale socks for the working adult or teenager. These wholesale socks won't fade on you easy. All..
10-13 XLarge Socks $7.00 Each Dz. Wholesale socks for all working men. These wholesale socks won't fade easy. They are made from quali..
Wholesale socks for the working men. 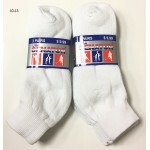 These wholesale socks are made from cotton, polyester and nylon..
10-13 XPMY USA $7.00 Each Dz. Wholesale socks for all working men. These wholesale socks are made from cotton, polyester and spand..
2-4 Children's Socks $5.50 Each Dz. Little kids will love these socks. Your children will look super cute walking around the house in th.. Girls will love these socks. They will look super cute walking around the house in these socks, we b.. The little ones will love these wholesale socks. They will look super cute and will fit just right, .. The little ones will love these wholesale socks with cars and Stripes on them. They will look super .. The girls will love these socks. They will look super cute and the socks will fit just right, we bel..